The past several years, although busy in general, have not at all compared to the last month and a half. Busy? I laugh in the face of busy! This is more like a whirling dervish, which sounds far cooler than what it actually is. My eldest daughter started school in August and my husband manages five clinics and goes to school in the evenings. Needless to say, I have a very small window to have dinner prepared for everyone to be able to sit down and eat together. Not being the master of organization, I’ve started employing as many time-saving techniques as I can possibly manage. You may remember my meal planner printable that I shared the other week. Well, it has been working wonders for me, because I can see the meals I am planning on making, as well as the ingredients, so I can quickly grab them from the fridge and cupboards like I am a professional chef who just knows his recipes by heart. I like to think I’m cool like that. But, when it comes to the actual recipes I fill that planner with, I need to be sure they are the kind I can put together quickly and easily, as well as delicious. And you thought they were just for breakfast. Pishaw! With the help of Pillsbury, I am sharing a wonderfully delicious recipe with you all today. 1. Heat a skillet to medium high and add the ground beef, seasoning lightly with salt and pepper. Brown the meat until thoroughly cooked, then drain the fat. 2. Add the seasoning, flour, water and salsa and bring to a boil. Reduce heat and simmer until the mixture thickens, about 5-6 minutes. 3. Flatten biscuits into 6 inch rounds, then spoon about 1/3 C of the meat mixture onto the biscuit, followed by a heaping Tbsp. of cheese. Fold the biscuit over the meat and cheese and gently pinch the edges together until the mixture is completely closed inside the biscuit. Place on a greased cookie sheet. 4. Bake at 375 degrees for 9 to 14 minutes or until they turn golden brown. Pulse until it reaches the consistency you best prefer. I like mine very fully processed. No chunks for this girl. I served up my Taco Melts with some leftover salsa and a deconstructed Mexican salad. It was a perfect combination, and the whole meal came together in 30 minutes, which is a big win for me and my schedule. 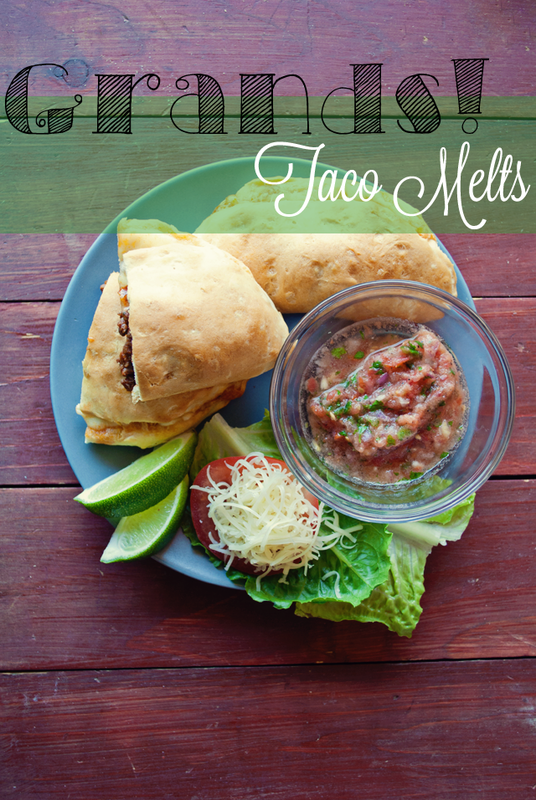 This recipe was huge hit to my girls; they essentially inhaled their Taco Melts and asked for seconds (which never happens)! I wanted to keep this recipe around for easy access, as well as some other goodies, like the Mini Pizzas-which we just tried yesterday and was a total hit-so I downloaded the Pillsbury Booklet! Which recipe would love to try? I was chosen for this campaign too! Can't wait to try the Taco Melts. Thanks for the seasoning recipe. You're welcome! 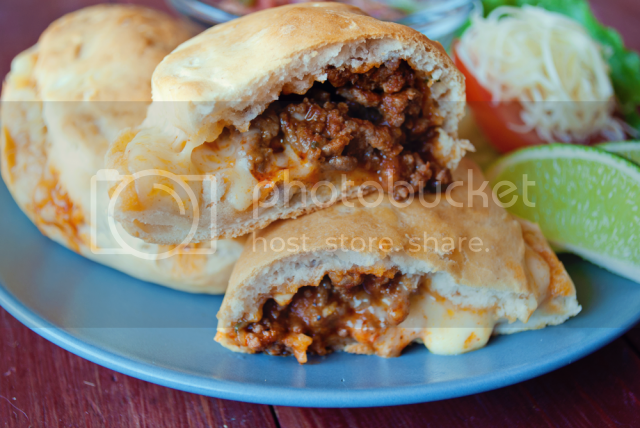 I hope you got a chance to try some Taco Melts! Okay these look so delicious!!! I definitely want to try these!! 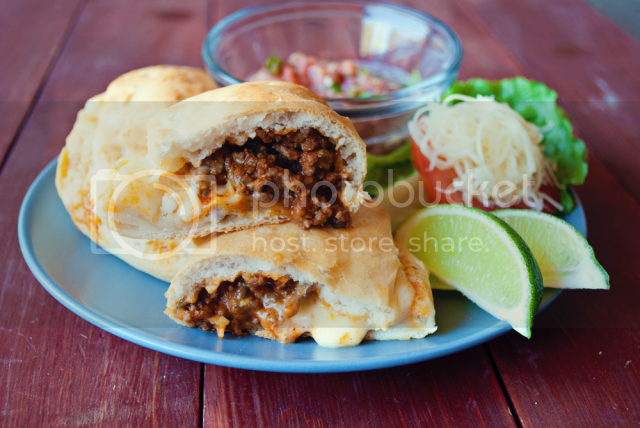 These look amazing, can't wait to try this recipe!!! Oh my!! We have to make those. Looks amazing! Oh gosh yummy! These sound AND look incredible! Thanks Abby! I hope you got the chance to try these! These look amazing. Going on our menu for next week! Thanks! Looks amazing!! 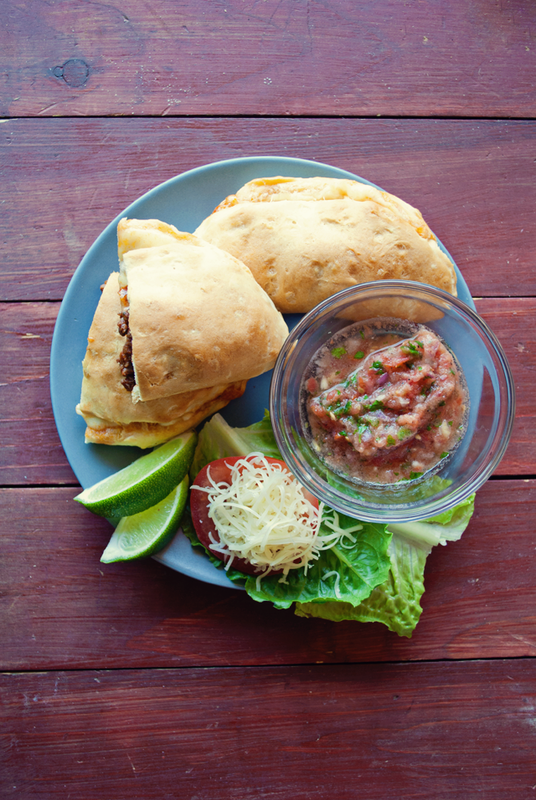 And I'm with you--homemade salsa is just too easy and tastes better than anything out of a jar. Thanks Gabrielle! I hope you had the chance to try these, so good!